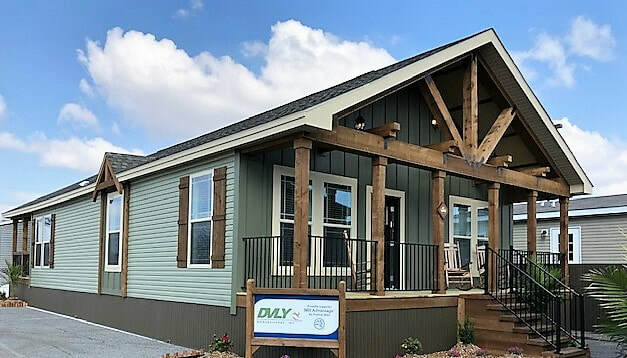 The Deer Valley Homes manufactured and modular expert for Alabama, Mississippi, and the Florida Panhandle. THAN ANYONE ELSE FOR THE PAST 5 YEARS IN A ROW! At Cumberland Homes we understand that the decision on what Deer Valley modular, manufactured or mobile home to buy can be a confusing process. Here are a few reasons Cumberland Homes in Tuscaloosa County Alabama sells more Deer Valley Homes on their little lot than anyone in the nation! We understand that you do not want to be pressured, harassed or pushed into buying "this home". We understand that you need and want a home that will last you and your family for a lifetime. We understand that you need a home that the manufacturer and dealership will stand behind. We also understand that housing needs to be affordable! This is why we offer only the highest quality, heavy built homes on the market today for below the cost of our competitors inferior homes. We will explain all the features, energy efficiency, construction standards and benefits of owning a heavy built, high quality home. You will have all the tools to make an informed decision on what home best suits you and your family. Cumberland Homes will never hide the construction of our homes because we are proud of it! Compare our construction, features, service, energy efficiency, and price with those other guys and you will see why our homes are all "Heavy Built, High Quality"! Every Deer Valley home is made in Alabama! If you buy a Deer Valley Home from you can be assured it was proudly made in Guin, Alabama!